There are a number of fictions about Low Emission Zones. This document looks to clarifies some of them and separates fact from fiction. Fiction: You must buy a special sticker at a newsagent or Berlin office to be able to drive into Berlin by car. FACT: There is the same LEZ sticker Germany- wide, and this can be bought on the web (see for example TÜV), by post, person and web from any LEZ authorities and many other German towns. It can also be bought from any TÜV station (annual vehicle inspection agency, at least one in each town). Many hotels in LEZ cities also offer to order the stickers on behalf of their guests, if they get the documents needed in advance. Fiction: My windscreen will be filled with different stickers. FACT: For each country which requires stickers, there is one sticker per country. Stickers are only required for German, French, Spanish, and Danish LEZs and one Italian LEZ. Stickers are required in Sweden only for very old exemptions. 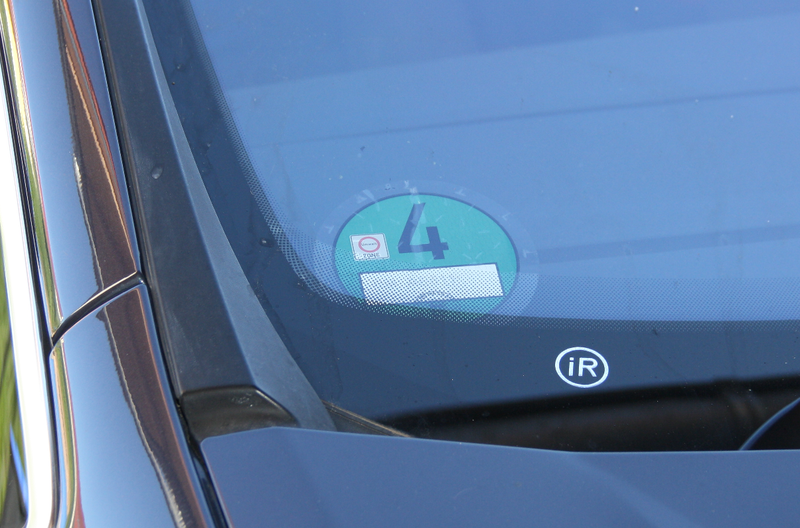 If there are to be low emission zones in the Czech Republic, it is expected that the German sticker will also be valid. Fiction: There is no cost benefit analysis undertaken for Low Emission Zones. FACT: Cities that implement LEZs have air quality action plans. This means that they will have assessed their air quality, identified the emissions sources, identified a package of measures to deal with air pollution, and assessed whether a LEZ is an effective measure to implement. In some countries the process towards an LEZ is more formalised, such as in the Dutch roadmap, which sets out what sets need to be taken to implement an LEZ, and under what conditions it can be implemented. However in each LEZ city it will have been assessed and identified as an effective air quality management measure. Fiction: There is no co-ordination of Low Emission Zones. FACT: In every country with more than one LEZ there is a national LEZ framework (see here for an outline of each of these national LEZ frameworks). In Germany there is also co-ordination within the Bundesländer (regions), which generally have LEZs with the same emissions standards. The exception is Italy. In Italy there is often regional co-ordination, which can allow for rules for local towns to be more strict than the regional standard. However this is tolling, and a number of regions, for example Lombardia and Emilia-Romagna now have more rigid frameworks, also setting out future plans. Information on all LEZs in Europe can be found on www.urbanaccessregulations.eu. Fiction: Low Emission Zones are often implemented at short notice. FACT: Most LEZs are notified at least a year in advance. Some of the German LEZs have been announced more shortly, but therefore often introductory phases with a wider range of exemptions and warning letters instead of penalty notices being issued. The exception is Italy, where in some cases short notice is given of implementation or re-implementation / continuation of a time-limited or winter LEZ. Fiction: Access to an Low Emission Zone depends on how many children or cars you have. FACT: This is not the case. In Germany there are ‘hardship’ exemptions that can be applied for. These ‘hardship exemptions’ are for little businesses that can prove that their existence would be threatened by buying a new vehicle, or those on low incomes who can prove that they cannot afford to buy a new vehicles. The definition of low incomes is usually taken from the German legal system, and depends on income levels and the number of people dependent on that income. This is usually for vehicles for which there is no retrofit possible. In Italy, as well as other countries, there is sometimes grants towards scrapping and replacing vehicles for those on low incomes. Fiction: Low Emission Zones are just there to penalise motorists. FACT: LEZs are implemented as a part of a wider ranging air quality action plan, looking at reducing emissions from many sources. These other sources can include factories, households, construction, shipping, railways, as well as road transport. Find out more from our "what else is being done to reduce pollution" page. LEZs are implemented to improve air quality which improves health, which affects all, particularly children, the elderly, those in poor health and drivers – see our LEZ background pages for more information. Fiction: Low Emission Zones have no impacts, and impacts have not been assessed. FACT: Many LEZs have undertaken post-implementation assessments. The assessments have shown positive impacts on air quality. In some cases there has been marginal impact on one pollutant, but more significant impacts on the other. A selection of LEZ impacts can be found on this page. FACT: LEZs are implemented after careful consideration, as stated above. In all LEZs the emissions standards are chosen to be minimum possible to achieve the air quality improvements needed. LEZs often allow vehicles to be retrofitted with a diesel particulate filter to allow lower cost compliance. Social and economic factors are also taken into account in different ways in different countries. The methods can vary due to the different vehicles affected. For example in Germany and the Netherlands there have been grants towards retrofitting vehicles and hardship exemptions if the vehicle operator can prove they cannot afford to meet the emissions standards. In Italy some LEZs do not operate in the middle of the day, allowing those that are unable to provide access, but with less flexibility. In London occasional access can be gained by paying a daily charge. LEZs ensure that public transport still works to allow people access to the cities. Fiction: All Low Emission Zones apply to cars. FACT: The vehicles affected by LEZs vary around Europe, but they are usually focused on heavier vehicles. Few LEZs affect cars, see the city pages for further information.